Step 1. Make an ORDER for a UNIQUE AMOUNT so I can distinguish which trade is yours. Example: Instead of buying $700.00 worth of BTC, buy $701.25. Note: Your deposit amount and your order amount must be exactly the same. Step 2. Tell me the ZIPCODE of the location you want to deposit in. Note: I do not sell to residents of NY. 3A: Upload a picture of just your ID. 3B: Upload a selfie with your face fully exposed holding a note that says, "My name is [ENTER NAME]. My username is [ENTER USERNAME]. 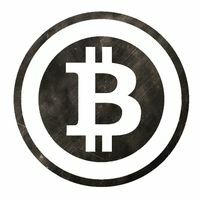 I want to buy bitcoin from BuyBitcoinsFromMe." 3C: Upload a picture of your ID held next to a laptop or phone screen showing this trade page with the full screen and browser address bar visible. If you don't have a cell phone and only have one computer, use "Loom.com" to complete Step 3C. I will upload instructions if needed. Step 4. I will submit the best account to use and the nearest branch to you. Step 5. Deposit ONLY CASH into my account. Note: Remember to take your ID with you. It must be the same ID as in Step 3. Step 6. After you have made your deposit and left the branch, perform the following tasks with the receipt. 6A. Write with a pen, "FOR BTC PURCHASE. ALL SALES ARE FINAL. NO REFUNDS"
6B. Write your “USERNAME / REAL NAME” with a pen. 6C. Upload a picture of the RECEIPT with your ID. 6D. Upload a SELFIE with the RECEIPT. Notes: All objects must be clear and visible in the picture, not cropped or blurry. Scanned receipts are NOT excepted. Other verification pictures may be required if pictures are not clear. Step 7. Wait about 30 minutes for me to verify everything is accurate. After verification with the branch, I will release. I'm looking forward to hearing from you next time. Bitcoins de Paxful Comprar bitcoins con Suntrust Cash Deposit Compre bitcoins con Suntrust Cash Deposit por USD Producto #: :is_hashed 5 comentarios positivos, basados en 1 reseñas 5 comentarios positivos, basados en :feedback_total reseñas $6026.95 USD Ahora Disponible en: buybitcoinsfromme En línea. ¡Comprar ahora!